It’s time to put the Family Courts back on the political agenda! It’s human nature to seek out a partner in life, and to possibly marry and have children. Unfortunately the matrimonial establishment, as we are all aware, is being methodically torn down by a demoralized society. Sadly the divorce rate is still on the rise and the foundation of marriage is being devalued and is crumbling. As adults we learn to adapt and move on when divorce attacks our lives but for children this is another story. 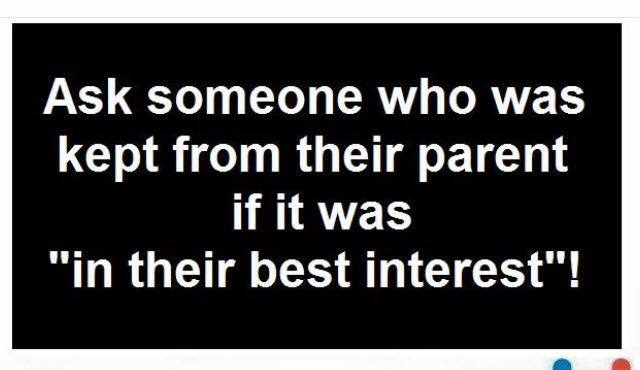 They are the real victims of divorce and unfortunately they will suffer dearly from our selfishness and in most cases follow the same path of destruction if not worse. Election 2016 – Fatherlessness is associated with almost every societal ill facing our country’s children. How can you address the fatherlessness epidemic? Sole custody should not be the norm following divorce or separation. Turner v. Rogers ~ The absolute right to legal representation in child support enforcement cases. Inequality Ignored, Does it matter? America’s leading authority on family court reform with over 25 years of trial experience has developed a Family Court Program specifically for you – regardless of how far along you may be in the process. Having previously appeared on the television news program 60 Minutes, CNN and in the New York Times, Dr. Leon Koziol, J.D., wants to help you take control of your family court case. After hearing ordeals from countless unsuspecting victims, their financial and emotional devastation by the lucrative family court machine, Dr. Koziol knew that he could no longer just sit back and watch these atrocities continue. Does Your Divorce or Family Court Case Warrant an Independent Investigation? Well there’s Judicial Watch, Human Rights Watch, ACLU, NAACP, NOW and so many other watchdog groups which keep our government in check. But what about our parents? What group or professional truly advocates for them? Welcome to the Parenting Rights Institute, founded by Dr. Leon Koziol in 2010 to do exactly that, provide accountability and recourse for victims of our nation’s divorce and family courts. At the Parenting Rights Institute there are no divided loyalties. We are beholden to no bar association or government agency for funding. We rely on your donations and patronage of the many professional services we provide. From investigation documentaries to book publishing services and reports to authorities, we promote accountability for moms, dads and families exploited by a court system that is harming parent-child relations worse than ever before. Unwed Father’s Rights Need Safeguarding! Unwed biological fathers are often told they have no rights when it comes to their infant children when placed for adoption. The fact they fathered their child is not considered important when the mother decides, on her own, to give the infant child up for adoption in certain circumstances. But, this gender disparity in equal protection and due process in parental rights is changing. Recently, the State of Utah adopted House Bill 308 that is designed to safeguard unwed paternal rights in regards to children six months or younger from being adopted. This law would require unwed fathers to be issued official notification of the mother’s intention to give their infant child up for adoption in certain circumstances. Once received, the father would then have 30 days to assert his rights as a parent and petition the court for custody. 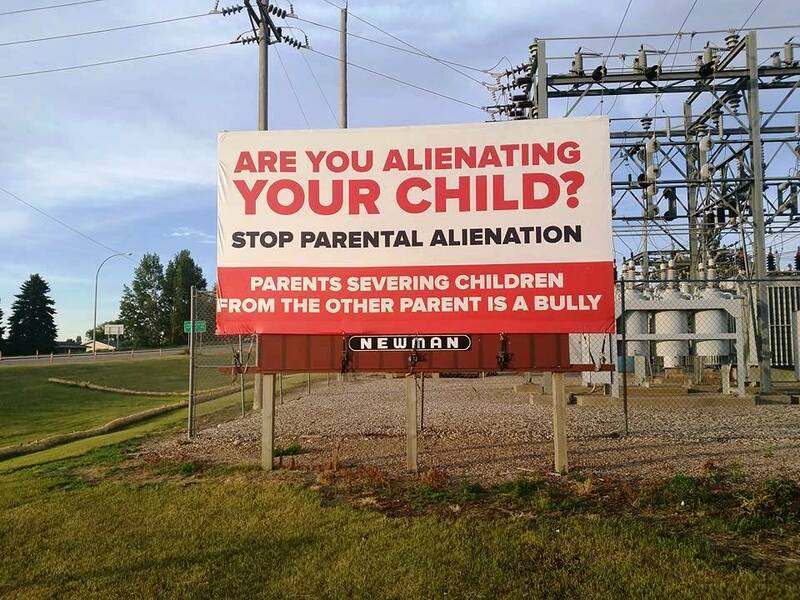 This closes a loophole which had allowed mothers to circumvent notifying the biological father and thus committing the ultimate act of parental alienation – terminating the father-child relationship forever. Common sense and fair play would argue that if an unwed mother decides to give up her rights to a child, then the biological father would automatically be given the opportunity to take custody of his child. Instead, a stranger can be given the right to adopt the child, often without the father even knowing he will never see his child again. Should a Father be allowed in the delivery room for the birth of his child? “Any interest a father has before the child’s birth is subordinate to the mother’s interest,” Judge Sohail Mohammed wrote. I can understand why father’s rights groups see the ruling as discrimination: It privileges motherhood over fatherhood. In November, Plotnick sued, saying DeLuccia was refusing to let him sign the birth certificate, tell him when she went into labor, or allow him to be present for the delivery. DeLuccia responded by denying the first two accusations but saying that yes, she “will request her privacy in the delivery room,” as the judge writes. She said she would put Plotnick’s name on the list of visitors for after the delivery, though. That sounds like a pretty good compromise to me. Once the baby is born, it’s about the baby. Before that, though, it’s about the mother, too—there is just no way to separate her from the fetus. That’s the basic reality of nature that should allow a mother to decide the circumstances of her labor and delivery. …the Supreme Court said in 1992 in Planned Parenthood v. Casey, the case that reaffirmed Roe v. Wade and also held that states can’t require women to inform their spouses that they’re having an abortion. If a women doesn’t want her ex in the room while she gives birth—an ex who she’s not talking to and who after all is suing her—then he can wait in the hallway. He’ll still have plenty of opportunity to bond with his newborn. The same logic of biology convinced me that a New York judge was wrong last year when she barred Sara McKenna, a former Marine and firefighter, from moving from California to New York, because she wanted to go to Columbia University, when she was seven months pregnant. The father of McKenna’s child was the Olympic skier Bode Miller, and he tried to block her from moving across the country by asserting his paternal rights before his child was born. An appeals court quickly reversed that order. Again, fathers just cannot have rights over fetuses that interfere with a woman’s freedom of choice and movement in this way. Once the child is born, the law can accord equal rights to fathers and mothers. Before birth, it just cannot. Surely Plotnick would agree that the baby’s health is paramount here. Guy Mann recently penned his observations on the tyrannical nature of Family Courts and their impact on Fathers and Children. I wanted to take some time out of my schedule to discuss Turner v. Rogers while it’s still recent and I remember my thoughts on the matter. First, I will provide some basic background on the case. Then, I will discuss the basic legal and policy arguments of the case. Finally, I will turn attention to my predictions and the importance of this case for indigent advocacy in general. What is this Turner v. Rogers case I’m talking about? The answer, thankfully, is rather straightforward. This case involves two indigent parents involved in a dispute over child support. The mother, Ms. Rogers, brought a straightforward court claim against Mr. Turner for child support he owed to their daughter. So far, nothing out of the ordinary. The noteworthy aspect of the case is that Mr. Turner is indigent, a formal term for a person who is poor; presumably below the poverty line. In terms of full disclosure, both Ms. Rogers and Mr. Turner were indigent parents. The court in this case held Mr. Turner in contempt for failing to pay for his child support obligations. A proper defense to this failure is an inability to pay based upon lack of necessary income. If that’s the case, why did the judge hold Mr. Turner in contempt? There is both a broad and specific answer. The broad one is that the poverty defense is an affirmative one — one that a defendant must prove in order to avoid being held in contempt. The specific answer is that Mr. Turner lacked an attorney, who would have certainly asserted this defense. Mr. Turner appealed his case all the way up to the South Carolina Supreme Court on the grounds that he was entitled to have an attorney appointed for him since he could not pay for one on his own. The South Carolina Supreme Court disagreed with his claim and, as a result, he petitioned the US Supreme Court to hear his case. Lawyers would rather try heinous murder cases rather than one family law case. Family law is a tough practice. Children’s futures are at stake. Homes and any monies involved are being divided. Cases turn ugly in a moment, and attorneys representing their clients must be prepared for these sometimes unexpected mood shifts. Some Tulsa attorneys admit they would rather try a number of heinous murder cases rather than one family law case. Judges have been heard to say they dread the controversial and contested family law cases because no one clearly is the winner and everyone loses when all cards have been played. Even attorneys involved in a family law practice have difficult times because of the twists and turns a case might have. Shane Henry, who practices family law with the Fry and Elder Law Firm, said he consistently lost cases during his first three years in practice and knew he needed additional training. The question was where to go. 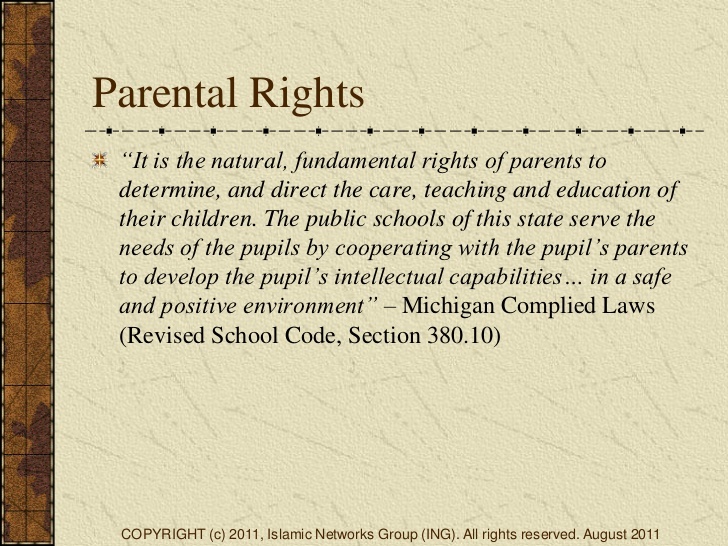 Parenting Rights Institute releases report for Watchdog Group: Be part of it! What must be done about the censoring of divorce and family court reform? A Christmas Story: Make Christianity Great Again ! Was a Jewish Civil Rights Case Denied Because of Tampering by a High Court? 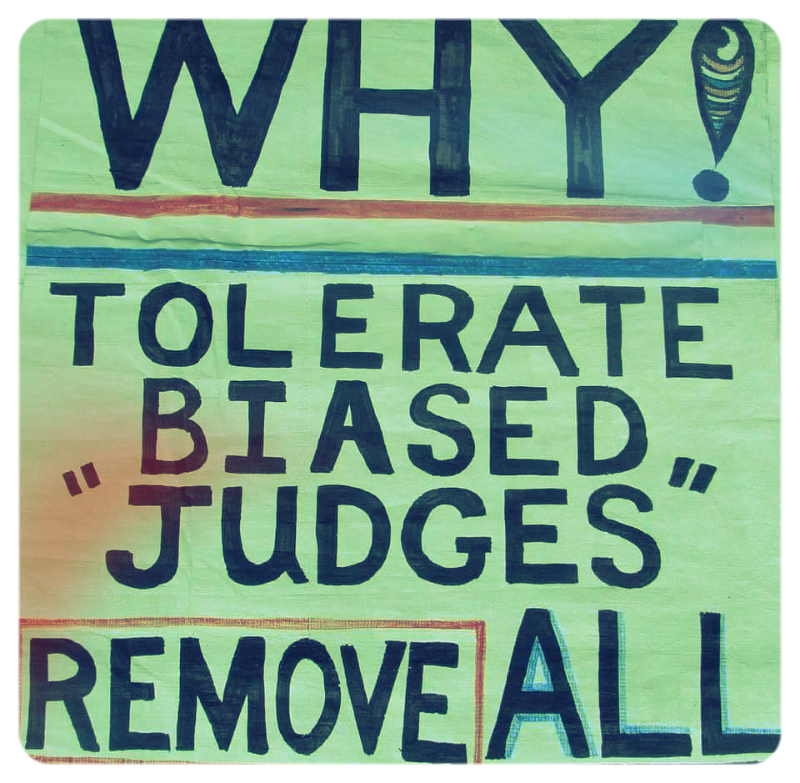 THESE JUDGES SHOULD BE DISQUALIFIED! Civil Rights is Equal Rights in Family Law. 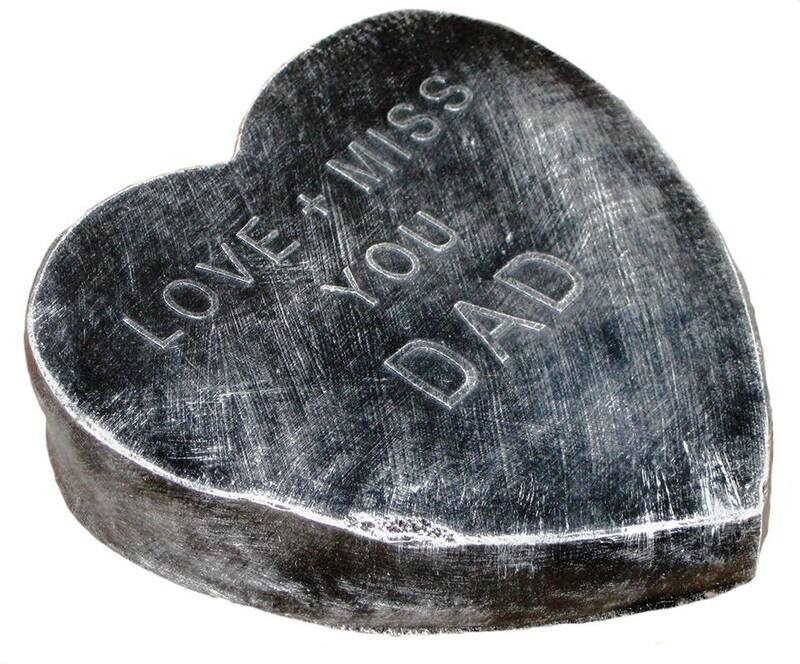 I personally know what it is like to grow up thinking your Dad doesn’t care about you. For anyone that has not directly heard your Dads side, to the story of you, I highly recommend you find him, and hear it! You can’t imagine what you might be missing. Doing so, is one of the most important things I have ever done, and it made all the difference in my adult life, I waited til I was 26, don’t wait, just do it. I am so loved, and Thankful to be aware of it. 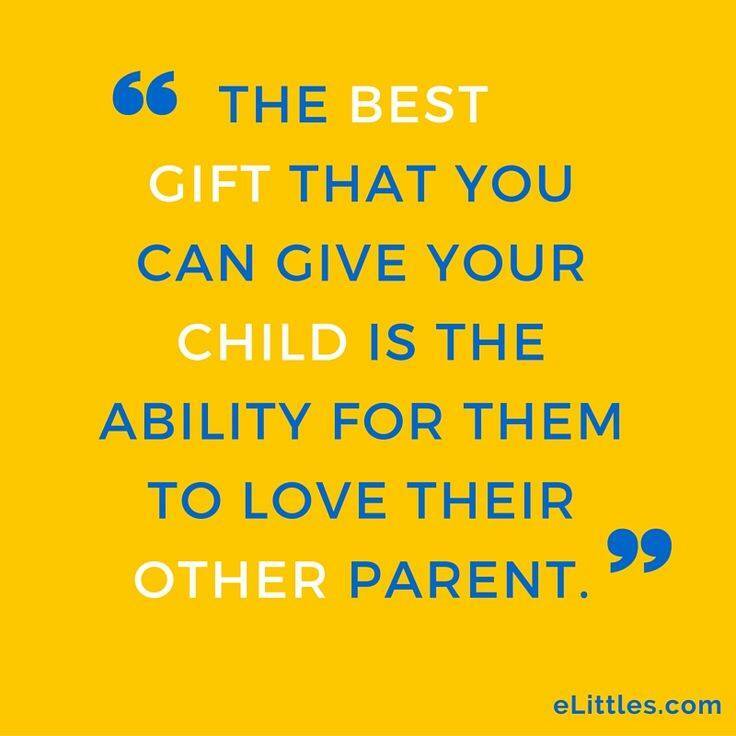 A parent who continues to be subjected to alienation and retention can never fully reach this stage. Many are forced into a position where they have to box all of the emotions that they feel and “give up” on finding a solution as a means of self preservation. Although they do not give up on their love for their children, they give up hope of ever being a parent to that child again. When we look at both explanations, we can actually see similarities that can be equated to the tests of which we face through the struggles in the alienation of our children. This is when we are tested in our faith that we will be reunited with our children. The other aspect of this, is that alienation is new to us and how we respond to the many obstacles is critical. A multitude of federal laws now regulate and impact families; some specifically confer jurisdiction on federal courts. As a result, federal courts now hear a growing number of family law cases, especially those that involve complex interjurisdictional or full faith and credit issues. 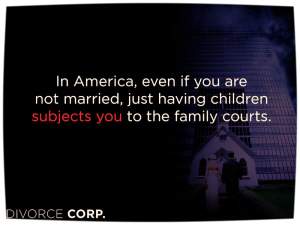 The Supreme Court has contributed to this federalization by “constitutionalizing” family law. It has repeatedly used the U.S. Constitution, in particular the Fourteenth Amendment, to extend constitutional privacy protections to increasing numbers of persons and to invalidate state laws in areas of law previously thought to be the exclusive province of state legislatures. Is Your Judge On The Top 10 Corruption List? I am easily spotted by those who know me but invisible to those who do not. You will spend your time, your energy and money telling them I am behind this whilst I smile and continue to shred the trust our children once held in you. I am an alienator even when I do not know it and the failure to see the shadows I cast in the projections I throw onto you, is the fault of a system so blinded by bias it is frozen like the minds of our children, the children being harmed right under the noses of those who should know how to help them but sadly, do not. 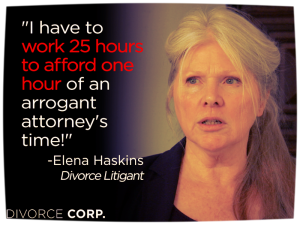 Divorce Corp., the documentary, was released January 10, 2014. 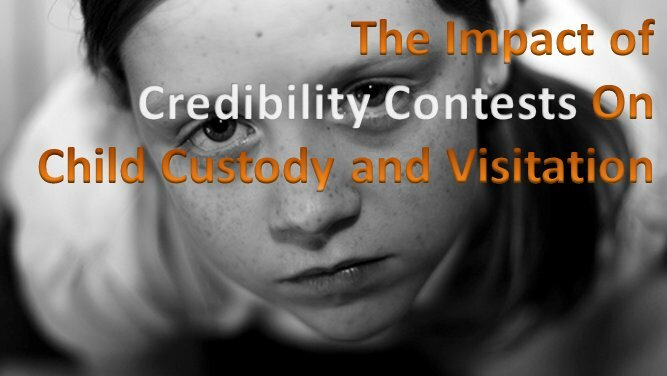 It exposes collusive practices in the U.S. family court system. There’s a new campaign in town… First, we had to Listen and Believe. Now, we are told we have to #TrustWomen Why? Because they’re women. And… because it’s 2016. Trust me, it’s still 2016, it’s true, I said it and I’m a woman, therefore it’s true. Channel that power into a force of ONE NATIONAL VOICE to enact change and protect families. Author of Access Denied, The Wretched, The Roots of Evil, The Ghost of Clothes, Omonolidee, First Words, The Christmas Carol, A Planned Demise. Two Sides of Vegas, Omonolidee - Morgado, Portugal and Fixing the Faker. responsible human, no hunger, NoDapl, Black lives Matter, Our Children, War, Peace, Democratic-Socialist, America Who? This side of the story. Fight back and get your kids back NOW!